A co-interview with the Conductor of Coastal Sound Youth Choir, Carrie Tennant (CT), and Chorister, Stephanie Browning (SB). The season of Coastal Sound Youth Choir has a unique blend of choral classics as well as progressive choral programming like Indiekör, please explain the importance of diverse programming in your season. SB: The diversity of our repertoire challenges us to really pay attention to the kind of sound we’re creating for every single song. It’s impossible to approach a pop cover with the same sound we would use for a traditional piece of choral repertoire. 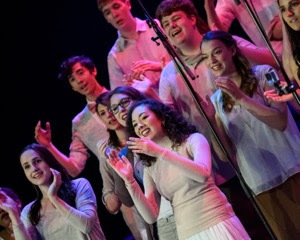 As youth singers, we have an incredible opportunity to bridge a divide between what we love about choral music, and the music we sing along to in the car with our friends. When we have Arcade Fire in the same set list as Arvo Pärt it really pushes us, not only be versatile technically, but also to understand our repertoire more deeply. I think we’ve become better musicians because of the diversity we introduce in our programming. Carrie draws these incredible links between the traditional pieces, and the pop arrangements we do. We’ve learned that in some ways, music hardly changes. Love, joy, heartbreak, resilience, these are themes that transcend time, language, and most importantly in our case, genre. And they’re themes that give young singers so much to grab on and connect to. When we explore them through traditional choral repertoire and through pop music, we find that they’re all saying similar things in different ways. As soon as we realized that the peace and rejuvenation that Monteverdi finds in nature might be the "Great Escape" that Patrick Watson was talking about, it brought a whole new facet to how we approach our traditional repertoire. What are some of the highlights you have had with the Coastal Sound Youth Choir? What do you feel is important when working with youth singers? CT: The most important thing for ME when working with young singers is to develop an understanding that that they are artists, and that what they (we all!) are doing is truly important….that art itself is an important and vital part of human existence. Once we all understand this as a choir, then technique, line, style, communication and even that sense community and connection between singers falls into place. We make a lot of artistic decisions together, because they have so much to contribute. Where do you begin when you start building a programme list for Podium? CT: I’ve tried to put together a program that reflects all the facets of Coastal Sound...Monteverdi to Part Uusberg to The New Pornographers...it’s actually taken me more time to choose this program than any other performance we’ve ever done. I just hope I’ve made the right choices :). What can audiences hope to see from Coastal Sound Youth Choir at Podium? CT: They can look forward to a wide variety of music performed with dedicated, focused artistry, and sung with an open heart. And they can expect to laugh. I always try to program something that makes people smile. CT: Podium is my favourite conference that I attend. It is so wonderful to get together with colleagues from across the country, and be inspired by each other. The concerts are fabulous, the workshops are always wonderful. It feeds my soul and brain for an entire two seasons! Until the next one…. See Coastal Sound Youth Choir at the Podium Conference and Festival which runs from May 19-22, 2016. Stephanie Browning has been singing in choirs in Metro Vancouver for almost 15 years. 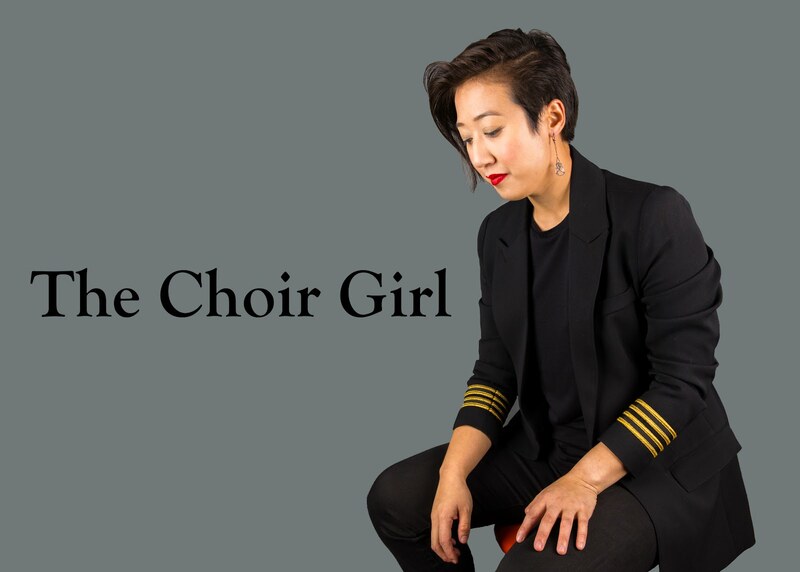 Her passion for choral music has brought her from children’s’ choirs into youth choirs. 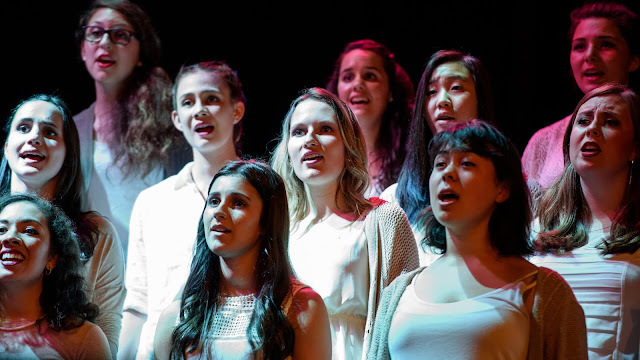 Stephanie’s choral experience includes the Vancouver Bach Youth Choir, BCMEA Honour Vocal Jazz ensemble, and Elektra Women’s Choir’s Mira Youth Mentorship. She’s currently a student at Simon Fraser University, and a member at large of Coastal Sound Music Academy’s Board of Directors. This is her fourth season with the Coastal Sound Youth Choir. Carrie Tennant is the Associate Artistic Director of Coastal Sound Music Academy, and director of the Coastal Sound Youth Choir. Carrie began her career as a high school choir teacher, building a nationally recognized choral program at Maple Ridge Secondary School before deciding to pursue graduate studies in choral conducting in 2009. From 2009-2012 she directed the Vancouver Chor Leoni MYVoice Choir and the Sarah McLachlan Youth Choir. In 2012, Carrie worked as the assistant conductor to Diane Loomer, and in January of 2013 Carrie was selected to succeed Diane as Artistic Director of EnChor. Under Carrie’s direction, Coastal Sound Youth Choir has been featured on CBC Radio, in 2014 was the subject of documentary for Telus Optik TV. Repeat award-winners at the National Music Festival, in 2013 Coastal Sound was chosen, along with Elektra Women’s Choir, to represent Canada at the 2013 Chorus America Conference. Also in 2013, Coastal Sound Youth Choir was awarded first place in the youth choir category of the ACCC National Competition for Amateur Choirs.. Currently, in addition to her work with Coastal Sound, Carrie is the founder and Artistic Director of the Vancouver Youth Choir, an Affiliate Conductor with the Vancouver Chamber Choir, and a frequent clinician, adjudicator and retreat facilitator across Canada. 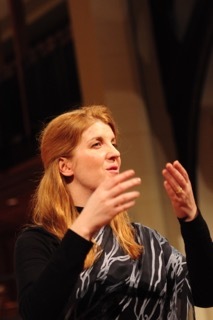 A passionate advocate for building and sustaining community among BC choirs and conductors, in 2010 she helped found the "BC Choral Mentorship Project": a collective that brings together expert speakers/conductors with local choral directors for master classes, discussion groups and lectures. In 2008, Carrie was the recipient of the BCCF Youth Achievement Award for distinguished support of choral music in British Columbia.